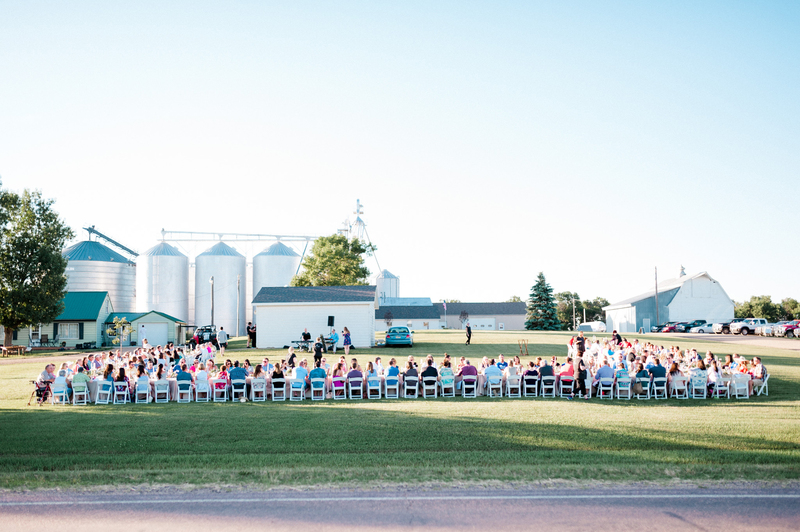 When we left off in the first part of our cheese obsessed journey, the fresh milk from Marty Neugebauer’s farm was making its way by insulated bulk milk truck to Dimock Dairy, South Dakota’s oldest cheese plant. 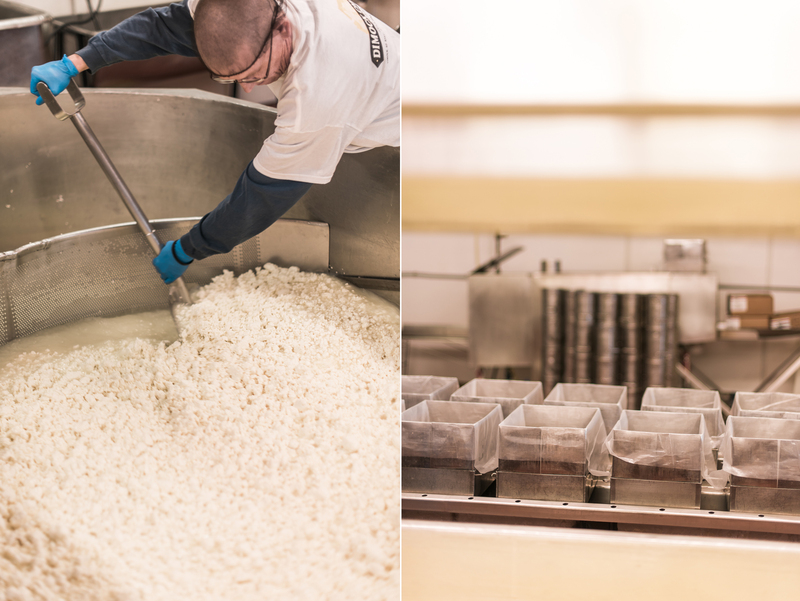 Since opening their doors in 1931, the dairy has built a reputation for creating premium, handmade specialty cheeses. It’s a farmer-owned cooperative nestled in a tiny community of 125, but don’t let its size and staff of only nine full-time employees fool you. 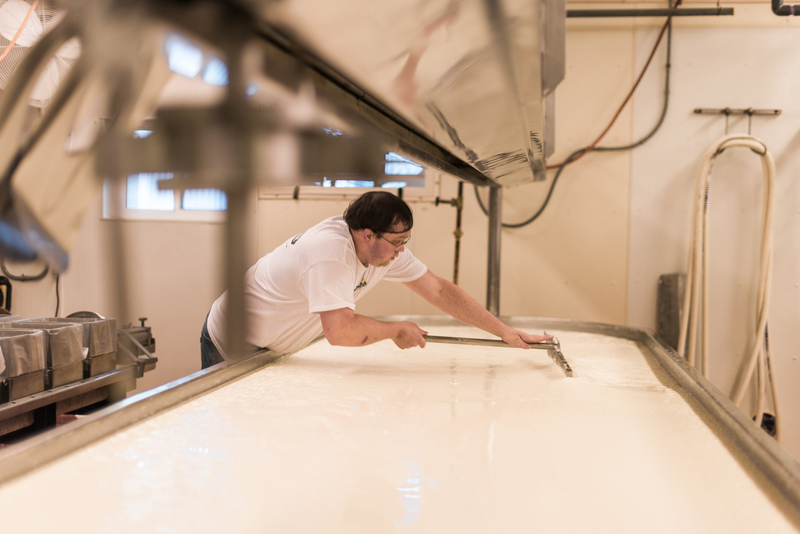 Dimock Dairy knows how to create great cheese. During its peak years in the mid-1960s, Dimock Dairy sold 30,000 pounds of cheese each week to John Morrell in Sioux Falls. Today, Dimock Dairy sources milk exclusively from local family farms. “All our producers live within about 20 miles of the plant,” explained General Manager Bryce Havlik. 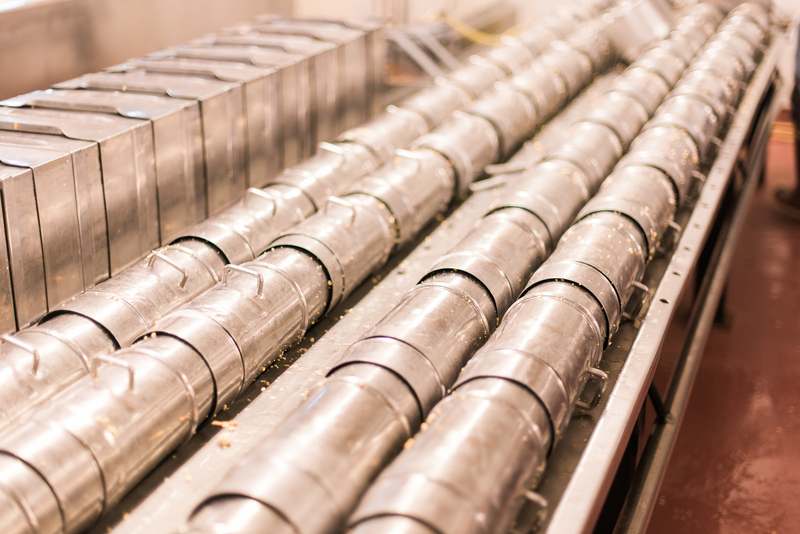 While the number of milk suppliers has declined from 55 to four over the years as dairies grew in size, the quality of the milk is still top notch. South Dakota dairy farmers ensure quality by using the latest technology, keeping everything clean, focusing on cow comfort and feeding cows a nutritious diet of corn, soybean meal and silage. Farmers know great milk starts with happy, healthy cows. 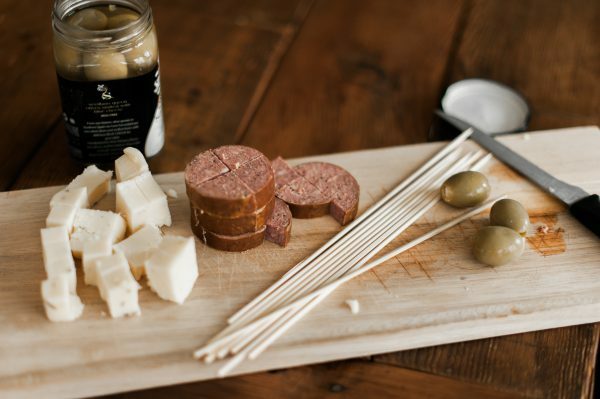 That attention to quality continues with the cheese making process and can be tasted in every bite. Over the years, that local touch has earned Dimock Dairy a national reputation. 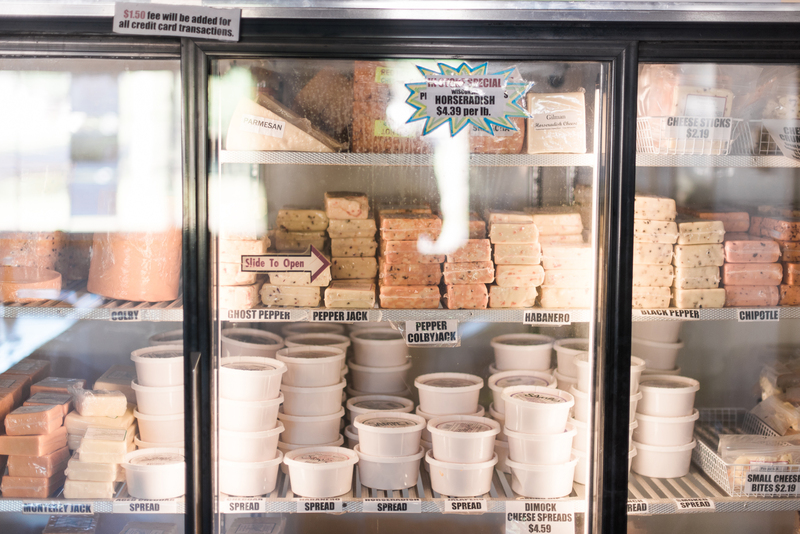 According to Bryce, most of their customers live in South Dakota and the surrounding states but people do stop by the shop and place online orders from across the U.S. Dimock Dairy also delivers to about 300 to 400 retail outlets across the state including grocery stores, convenience stores, restaurants and seasonal shops in the Black Hills so locals can find their favorite flavors in a variety of places. The team selects the type and flavor prior to making every batch. Just in case you’re wondering, the top-selling combinations are colby longhorns and co-jack blocks. 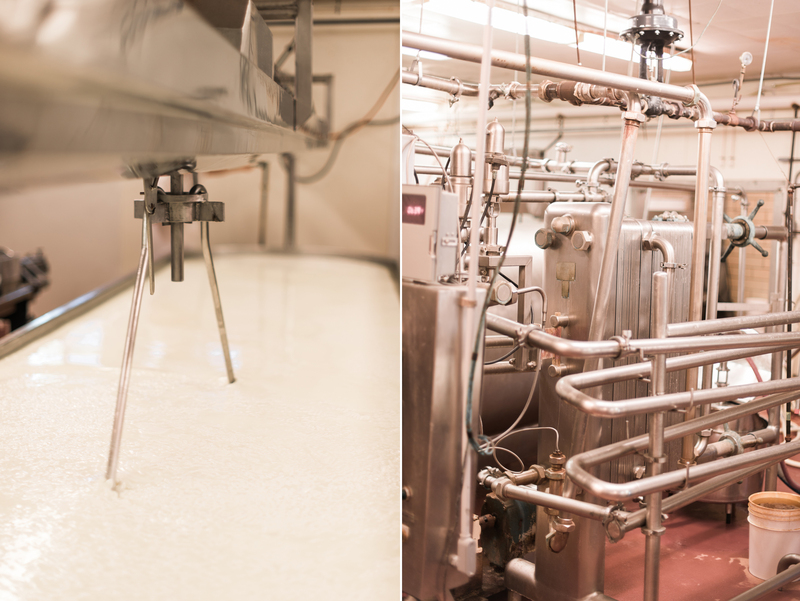 Once the bulk cooler trucks reach Dimock Dairy, the milk is safely unloaded into a tank where it’s stored and refrigerated at 36 F. From there, it’s pasteurized through pipes and a heat exchanger that heats the milk to 163 F before it’s poured directly into a 12,000-pound vat. 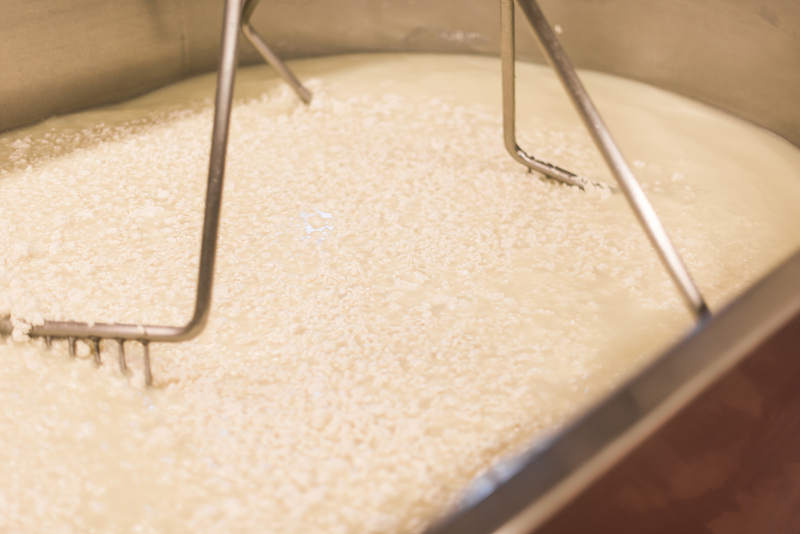 That vat of milk yields about 1,200 pounds of cheese. After pasteurization, the milk is cooled. Additional ingredients, like bacteria starters and rennet enzymes, are added and, in just 20 minutes, the entire vat coagulates and can be cut with thin wire knives. It heals for a short time prior to agitation and cooking. After cooking, the whey is drained. 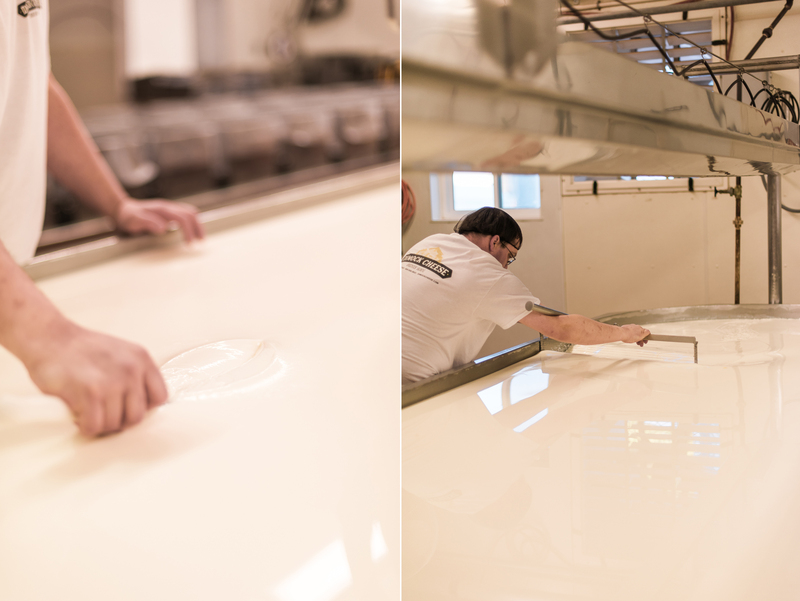 When the curd reaches optimal acidity, it’s salted, flavored and hooped. 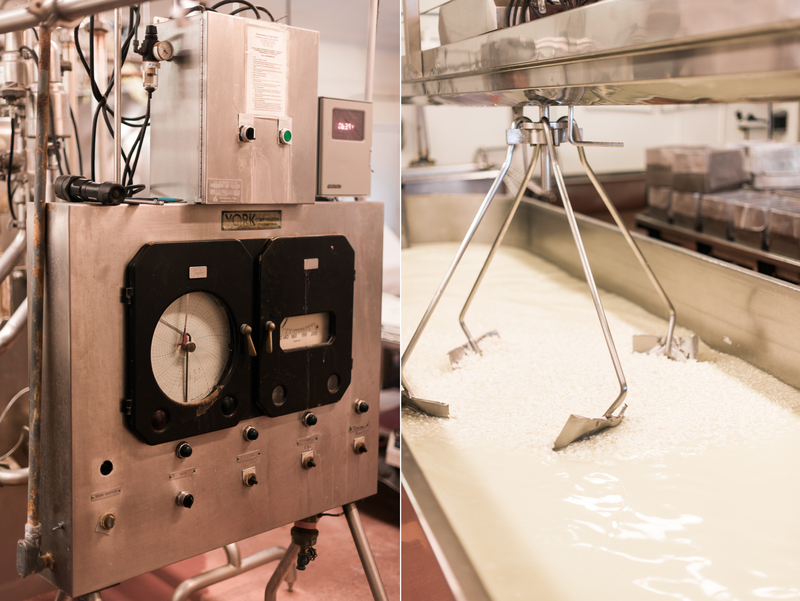 Hard to believe that milk turns to cheese in only four hours. From there, it’s pressed overnight, formed, vacuum sealed and refrigerated for three or four days before it can be cut, packaged and be considered ready for sale. 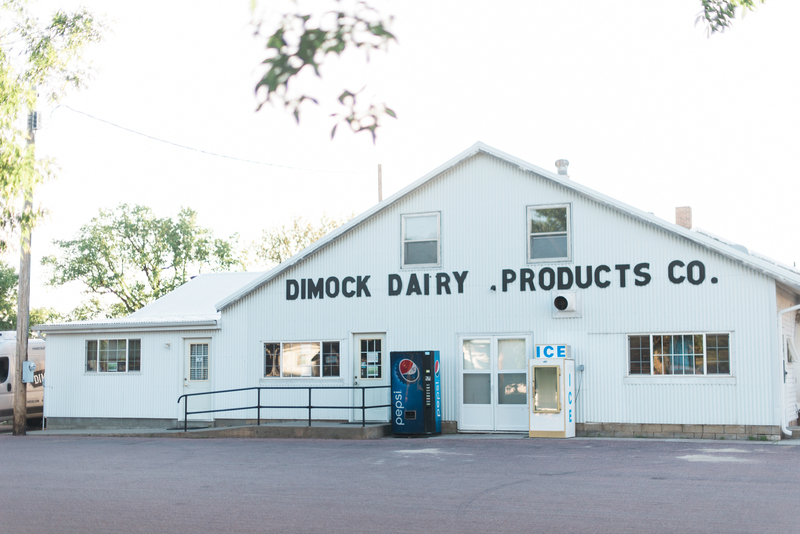 The journey isn’t complete without the people who loyally flock to the Dimock Dairy retail store and website to purchase their favorite cheeses. 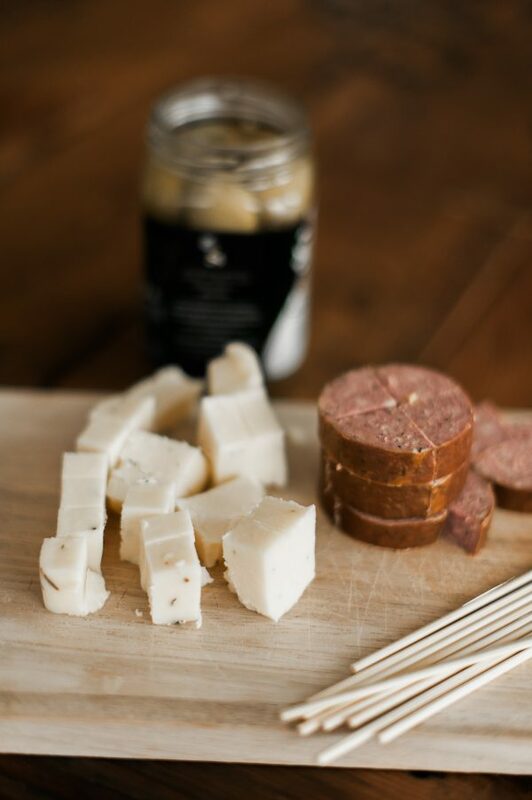 Cut salami and cheese into small bite sized pieces. 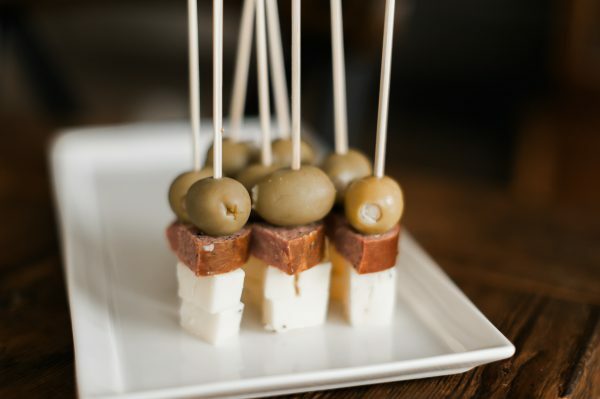 Skewer 1 salami, 1 cheese, 1 olive. 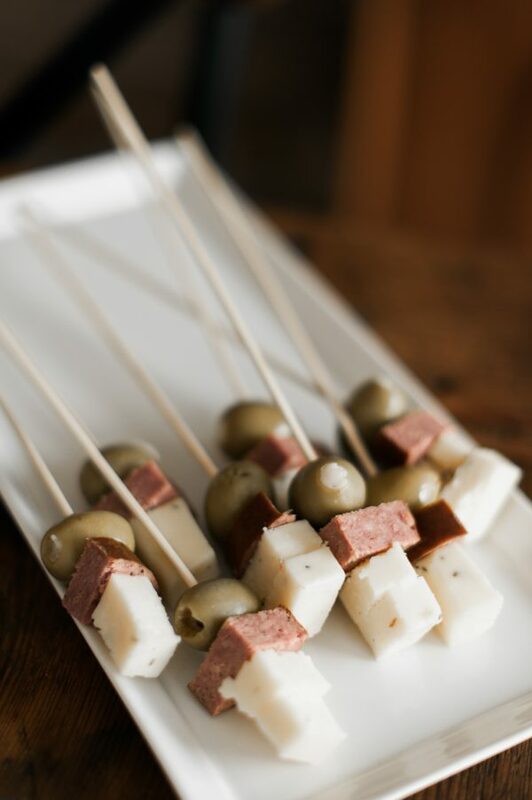 Skewer as many sticks as needed for guests.